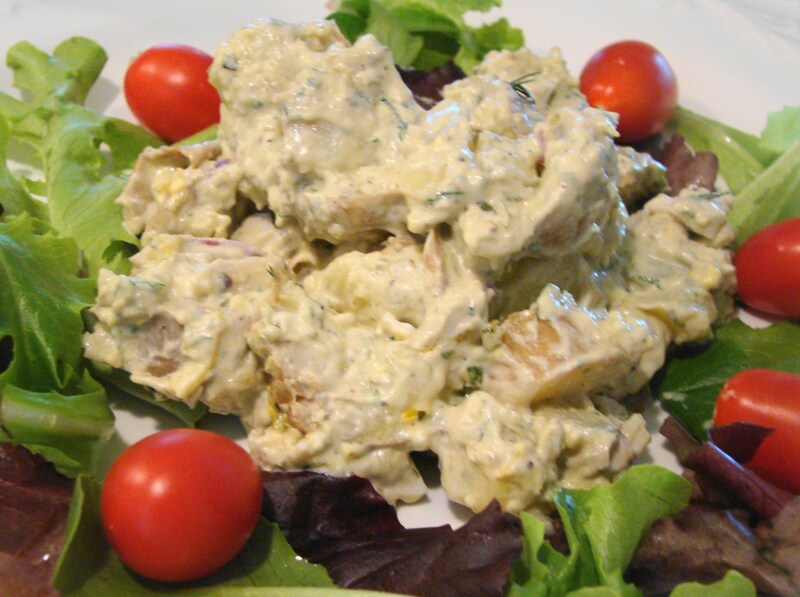 Potato salad with basil pesto and dill is a tasty cookout side dish (see recipe below in post). Memorial Day weekend marks the official opening of Chicago beaches and the unofficial start of picnic season. Besides hitting the shores, we also hit the parks — armed with grills and coolers — for our first taste of summer in the city. It’s not as warm as it could be this year (low 60s to 70 degrees), but the heat generated by all that outdoor cooking should raise the temperature. And then, the fireworks.